Artist, critic, curator and UAL Honoree, Professor Robert Storr is the former Dean of the Yale University School of Art and one of the foremost art critics of the last forty years. 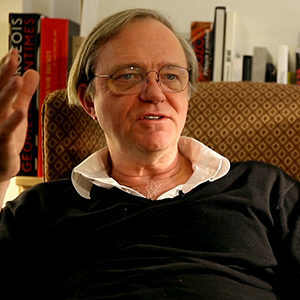 Robert Storr will discuss the art of the interview and its relation with art criticism. As he says ‘the interview is a form for finding things out’ and not ‘to show off to the reader how smart you are’. The event starts at 6.30pm. Ticketholders are entitled to one drink at a post-talk reception in the canteen.